You are here: Greenwich / Magazine / Should Maze Hill station be renamed? Should Maze Hill station be renamed? The East Greenwich Cultural Corridor Committee are considering ideas for promoting East Greenwich. Here, Liz Wrigley puts forward the suggestion that Maze Hill station be renamed "East Greenwich station"
The station is very close to the East Greenwich area, and is the most convenient station for both the park and for the University, as well as servicing the shops on Trafalgar Road and other East Greenwich venues. As a mainline station is has a fast, regular service to London Bridge, where you can join the underground easily, get to Charing Cross (by changing platform) and to the south to connect to say Gatwick also by changing platform. However at present visitors by rail get off, understandably, at Greenwich station (which is nearly half way to Deptford! It is a station that was the Greenwich stop on the original London to Greenwich route, way back in 1838 when this little Kent village first joined with the capital, before the tunnel under the museum and park was made and the route extended east, and has no other significance to its location or name). No one would guess that Maze Hill is actually much closer to the Greenwich historical town centre attractions. National Rail travel to here from central London is now on the oyster card system so you do not even need a separate ticket. We are looking at a long term strategy to bring East Greenwich onto the mental map of the rest of London and the world, as at present it is overlooked, being just beyond the east edge of the World Heritage area, a place where at present maps may as well say 'there be dragons here'. What do you think? 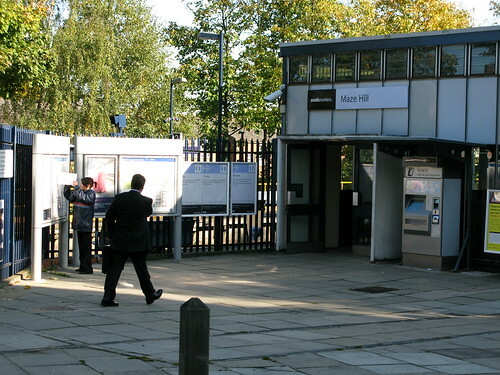 Would it be beneficial to East Greenwich if Maze Hill station was renamed? Have your say in the comments below. Why not ‘Greenwich Park’? That would re-inforce the proximity-to-the-Park part of the message, and avoid confusion with the bits of East Greenwich that are actually much nearer Westcombe Park station (eg the Library). It depends on your expectation of what will happen when people switch stations. Firstly, you have to presume that someone going to “Historic Greenwich” would travel to East Greenwich rather than at Greenwich Town Centre. To my mind, most people would expect to go to the Town Centre unless given considerable amounts of advice not to do so – in which case that advice can still say to stop off at Maze Hill. Changing the name does not reduce the amount of effort expended in getting people to switch stations. Also, what is the actual benefit to having hordes of tourists getting off at Maze Hill and immediately leaving the area to go to Historic Greenwich? There seems to be negligible benefit to the local economy from the through-traffic. I don’t think it is a good idea because East Greenwich includes far more, and goes out farther east, than [just] Maze Hill (which is just a stone’s throw from the park). It implies that East Greenwich ends around there. I understand the motivation behind this, but I’d certainly be averse to Maze Hill becoming East Greenwich – as Neil rightly points out, Westcombe Park is clearly in East Greenwich as well (and I rather like his suggestion of Greenwich Park). I have to admit to being rather fond of Maze Hill as a name – not only did I know it long before I moved to the area thanks to it being mentioned in Conrad’s ‘The Secret Agent’, but I like to think that the (in all honesty, rather dull) deriviation of the name is a mini-Greenwich secret that we can regale visitors with…! Perhaps a compromise suggestion might be a semi-renaming, e.g. Maze Hill for East Greenwich, or Maze Hill for Greenwich Park. Transport organisations tend to be very unkeen on wholesale renamings (see, for example, the lack of success for the lengthy campaign to rename Aldgate East as Brick Lane) as the costs involved are a lot higher than might be expected. Adding a ‘for…’ on the end can be phased in gradually – and could possibly be a step towards a full renaming in time. I’m not sure if Maze Hill is intended to be advertised as a key route to the Olympic events in the Park – if so, there might be support from LOCOG for introducing the Park to the station name in some way. East Greenwich has huge cultural and historical significance – a history that pre-dates the World Heritage Site. The East Greenwich Cultural Corridor Project (community driven project of culture-led regeneration) is now underway with support from the Council and other key stakeholders and with the big ‘O’ just around the corner (literally) even greater significance is being given to the geographical location of East Greenwich. The cultural corridor plan will enhance the visitor experience and economically regenerate the district centre to showcase EG’s historical and cultural gems: East Greenwich Pleasaunce, London’s first Medieval Tidal Mill, (decent) Pubs, Enderby Wharf, Industrial River History, and regenerate Venues such as the old cinema and the EG library building. All of which are destined to be brought back to life to play an active role in our cultural future with a rich tapestry of cultural events. The industrial roots of East Greenwich are without doubt ‘historical jewels’ in the ‘cultural crown’ of Greenwich borough and it is only fitting in light of this restoration of identity that East Greenwich has an identifiable train station. If Maze Hill is to be renamed, I suggest the two other stations in the area be renamed too. Greenwich should become West Greenwich, Maze Hill should become Greenwich Park, and Westcombe Park should become East Greenwich. “Ever heard of East Greenwich? It’s that bit of the soon to be Royal Borough of Greenwich which lies between the beautiful World Heritage sites of “Greenwich” to the west, and the peninsula with all its delights to the north. Did you know that East Greenwich has a few delights of its own too? In addition to a vibrant community, thousands living here, dozens of shops, good schools and small businesses, the river, a Pleasaunce, and lots of interesting pubs, eating places, buildings, developments underway and yet to start, and a deep water liner terminal coming our way, – yes, in addition to all of that, – we also have our own little station. And what’s the name of the station? “Maze Hill”. Now there’s nothing wrong with Maze Hill as such – I quite like Maze Hill – but it’s not exactly a destination, is it? In one direction from East Greenwich station is Westcombe Park which has its own station imaginatively called “Westcombe Park”. In the other direction is Greenwich which has its own station equally imaginatively called “Greenwich”. So why does ours have to be called “Maze Hill”? In 2012 we will have thousands of visitors coming to see the Olympics, right on our doorstep. Many will need to get out of the train at our station. If it’s unhelpfully still called “Maze Hill” they might not even glimpse East Greenwich, and have no chance of exploring its charms as they make their way to and from the Park. Guess what – I’ve just thought of an imaginitve name for the station. How about calling it “East Greenwich”? I like Maze Hill. The name is a link with the past, in a Borough that earns much of its income from a well-preserved past: the name is said to derive from Sir Algernon May, a 17th century resident (ie “May’s Hill”). It was Maze Hill at other important stages in the life of Greenwich: I used to know a lady who was a passenger on the last train out of Maze Hill before it was bombed. By comparison, “East Greenwich Station” evokes nothing; it is anodyne, lacklustre, utilitarian, unlovely. People may not know that renaming a station is not just a matter of repainting a couple of signboards. It is very expensive, and may just be impossible, to change all the hard-wired information in the railway companies’ computer systems. When the Dome was built, there was a proposal to rename North Greenwich as Dome, but it was judged not do-able. Wow a lot of ideas here, glad a debate is sparked! I agree with the Westcombe Park observation – East Greenwich does have the asset of two main line stations – Combe Farm has changed a bit with the A102 M there. I was a bit disappointed at the notion of a ‘Mr May’s’ giving his name to the hill and station, I much prefer the fantasy that Henry VIII wanted a maze at his Greenwich Palace to match the one at Hampton Court. I also think the station should be called ‘Greenwich Park’. I recently moved to near Maze Hill station and I had no idea before coming here that it was so close to the park. People unfamiliar with the area will still get off at Greenwich station if Maze Hill is re-branded ‘Greenwich East’ as the park, naval college and maritime museum are all known to the wider public to be in Greenwich and not Greenwich East. If it has to be renamed, I’d go for Greenwich Park, as it’s the best station to use if you want to visit the Park, Maritime Museum etc. East Greenwich just has a “not quite Greenwich” ring to it. I think the last London station to change name was Aldersgate (to Barbican) in the late 60s, so I’m not optimistic that this will bear fruit – but I live in hope. I very much like the ‘Maze Hill for Greenwich Park’ , becuase it sounds doable and actually helps tourists (dare I say it) travel to the Olympics, assuming entry from Maze Hill to the Park will be possible then. It would change the Park dynamic though – in summer I find East of the Observatory is locals, while West is more tourists. Do we know what proportion of tourists arrive by boat? For locals any name change might have the benefit of forcing some money to be spent on a station that lies about 50 yards from a World Heritage site. I’m guessing the tea hut inside the playground might see its takings increase (but I can’t see cafe owners in Greenwich proper welcoming a change). Would def be a boost to East Greenwich which is (any way you slice it) very much the poor cousin to West Greenwich. It’s “Greenwich Park” that would get my vote. One of the difficulties for East Greenwich, and particularly in the area along Trafalgar Road, has always been the ability of the local area to attract visitors. I agree that the park, the river, the great riverside pubs, the close proximity of the Naval College all help, but as well as a proposed name change, we should be looking at why people don’t visit in their droves….. I am sure the committee is looking at this. A walk along the road will showcase a number of good quality businesses: Theatre of Wine, Ego, the new Home Front store @ 89, The Trafalgar Cafe, an institution in it’s own right….. but there a LOT of perpetually vacant shops, or shops which house short term start-ups that go bust very quickly. Trafalgar Road could also do with a bit of a face lift. I like the proposal for “Maze Hill for…..” but also like Greenwich Park as a station name… we just need visitors to turn “right” down the hill, and not just enter the park…… and disappear from our sight…. A very interesting debate though. Need something to mark the change to Royal Greenwich! Ideal time to do it. Two changes: Royal Greenwich and Greenwich Royal park. Eat your heart out Woolwich! I am always directing tourists on Greenwich High Road to the park who stop me on the street outside our Greenwich office! 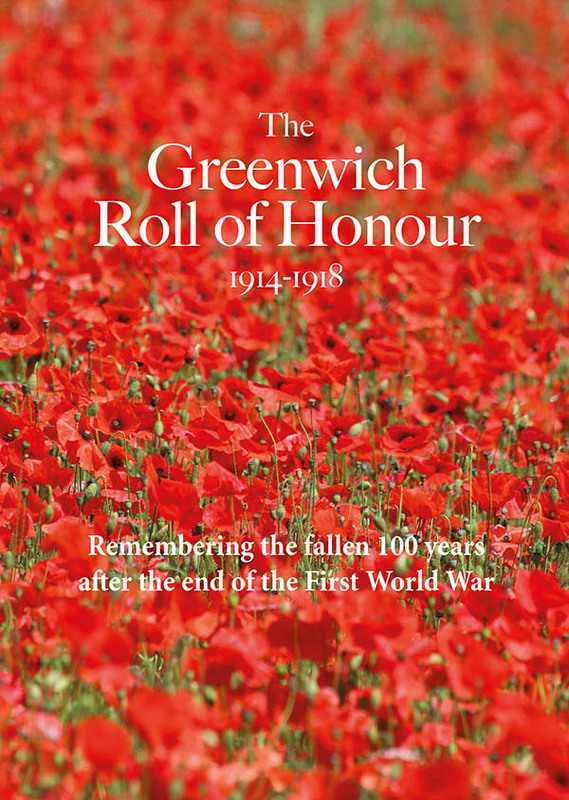 LOVE “Greenwich Royal Park” …great idea and why not add in …for East Greenwich to boot! I’m for Greenwich Park too, it explains exactly where you are when you leave the station. Keep it as it is. Greenwich Park could still confuse people, since Greenwich station is handy for the west side of the park, and “East Greenwich” would risk confusion with the rest of the area which is served by Westcombe Park. Indeed, Maze Hill is also the local station for a great chunk of Blackheath, too. There was a push to rename Greenwich “Greenwich Town” and Maze Hill “Greenwich Maritime” in the early 90s, I’m sure. Opposed to the idea – East implies a West and in terms of station names there isnt one so it would lead to confusion, particularly for tourists. The name is tied as well to the geographical location and area and has a historical association with Sir John Vanburgh and others mentioned above. I am not sure it needs a restoration of identity – sorry Lorraine – East Greenwich sounds terribly drab, like a poor relation. I like the name Maze Hill, it’s far more tantalising than East Greenwich and as I went to Roan School I’m umbilicaly attached to it. Regardless of what it is called most visitors will come out of the station approach and cross straight into Greenwich Park, although it would bring a little more trade to East Greenwich than if visitors were to disembark at Greenwich Station. Yes Greenwich Park is a more universally descriptive alternative but the costs involved in changing every nomenclature to the station would be rather off-putting to those having to foot the bill. I don’t think it’s going to happen. No, I don’t think either Westcombe Park or Maze Hill stations should be renamed East Greenwich. Neither of them are in East Greenwich. Both stations are in Blackheath. Perhaps Maze Hill could be Greenwich Park, but it is at the far end of the park and the main entrances are in Greenwich Town Centre and off the A2 on Blackheath. East Greenwich is a small area that is also part of Greenwich, why the need to section it off? Why call the Pleasaunce – East Greenwich Pleasaunce? not Greenwich Pleasaunce. I can understand Deptford wanting to be called West Greenwich but Greenwich is Greenwich after all. I think in the 1990s, Maze Hill had something on the station signs which said words to the effect of “Alight here for Maritime Greenwich”. The snag was that potential visitors had already got off the train at Greenwich so never saw it! Looking at the picture of the station, perhaps it should be blown up and rebuilt as “Greenwich Royal Park”. Deptford is due for a rebuild so there’s hope! I don’t know where “Sue on 20th February” lives but obviously not in this area. “Maze Hill Station in Blackheath”? What nonsense. “Westcombe Park Station in Blackheath”? Ditto. Ray, both stations are south of the train line, which I think (strictly, if somewhat boringly speaking) puts them both in Blackheath as far as postcodes go. Well, the London-bound platforms at both Maze Hill and Westcombe Park stations are in Blackheath Westcombe council ward, so you could make the Blackheath argument I suppose. But that would mean I lived in an area called Peninsula, and no-one’s tried to convince me of that yet! I live on Humber Road and regard myself as living in Greenwich – even though my postcode is SE3 (normally regarded as Blackheath). I think Greenwich Park for Maze Hill is a good idea. Most tourists that enter the park at the main gates stick around that area and never venture over to the east side – One Tree Hill, boating lake, the row of anchors in the museum grounds etc… so I see no problem in directing people over to this side. Re: shops – I’ve lived in Greenwich since 1987 and there are only a handful of shops worth mentioning – Theatre of Wine, Italian Deli being two. The rest – along with the pubs are horrendous. the fact that east greenwich has a ‘history’ does not make for a good visit in 2010. River views and the Cutty Sark pub aside – what are people actually going to look at? Why would people visit the Pleasuance when they have Greenwich Park? I would go for Greenwich Park for Maize Hill, could rename Greenwich to West Greenwich and Westcome Park as East , not really bothered. Re last poster, the Pleasaunce has a beauty of its own and for the reason locals and particularly dog-walkers go there is because it is in East Greenwich and handy, and part of the East Greenwich local attractions in its own right – is the purpose of all this just to get people to go to Greenwich Park? Also since they put the cafe in it is so nice to be able to go and have a hot drink and meet like minded (or not) people – thoroughly recommend it to anyone who has not been. The park is more personal, secluded and out of the way. What can i say about the cafe – it is my oasis on a winters day. Needs to be visited more often. As for the name of the train station – i dont feel that it should be changed as that is also very personal and has its own little identity. Please leave Deptford out of all this, we are not Greenwich wannabes. We are happy with our very distinct identity. I was only going to say that a fairly recent station name change locally took place some time in the 1980s – Surrey Docks Station changed its name to Surrey Quays – apparently to help out the new shopping centre. There used to be a Greenwich Park station, part of a branch line that ran via Nunhead. The Ibis / Picturehouse Cinema stands on the site of the old station. It features in Joseph Conrad’s novel ‘The Secret Agent’. @Alan – i was referring to visitors, not local people – I’m sure it’s lovely. Why would a tourist want to be surrounded by ‘dog-walkers’..? To Roy – some people do care about the borough. Try not wasting your time on a concept you don’t understand! “Greenwich Park” or “East Greenwich” are both good ideas, if only for the sake of the Olympics. Please do it before mid 2011 though or all the tourist guidebooks will be wrong. I’m another vote for ‘Greenwich Park’. As with Nicola Rowe, I’ve also just moved to a place near Maze Hill station and was very happy to find the Park was so close (although building work is currently blocking my direct route). ‘East Greenwich’ lacks all imagination and deprives the station of any link to the heritage of the area. I vote for Maze Hill being named Greenwich Park. This would make the most sense in light of the Olympics due to its ease of accessibility to the Park. However I think that the stations in Greenwich across Greenwich need to be renamed throughout including Cutty Sark DLR. It would make more sense if Greenwich Mainline was West Greenwich and Cutty Sark was Greenwich Central as it’s right by the waterfront and in the middle of town. Westcombe park could then be renamed East Greenwich. If the stations were renamed this way it would be a lot easier for visitors to Greenwich to get their bearings and hopefully this would reduce the amount of lost Olympics visitors we need to redirect in August 2012! I think a name change is necessary to ensure Greenwich station is not the onlly station fludded with tourists during the Olympics. It should be part of the Olympic Org Team Transport strategy to ensure this is considered. Charlton has variously has “alight here for Charlton Athletic Football Club” and “change here for the Millennium Dome/ O2 Arena” over the years. I think Greenwich Park would make sense. When my friends come to visit me it would be much simpler for them to find me. If you want to go to Regents Park, it is easy to know what station to go to. Maze Hill means nothing to 99.9% of the population. I think it would give greater kudos to the area. I really like “Greenwich Park” station. I think it would bring much more tourists into our area, which would be a good thing for local shops.